The Teacher Education Department in the College of Education and Human Services offers undergraduate and graduate programs that lead to initial teacher preparation in selected teaching fields and selected age levels as well as advanced professional programs for current teachers seeking advanced study and/or additional teaching credentials. Teacher licensure in Ohio also requires passing scores on examinations mandated by the Ohio Department of Education. 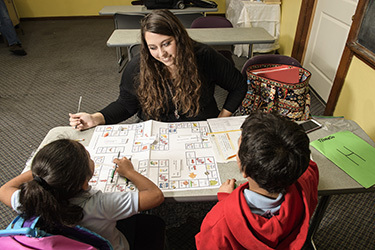 The Teacher Education Department in the College of Education and Human Services at Wright State University is dedicated to preparing high quality teachers who serve as change agents in a democratic society. The department embraces the cycle of simultaneous renewal to elevate the art and science of teaching through creative endeavors.